Paul T was born and raised in London, at an early age he left the UK and worked in numerous disco's and clubs around the world, places like Ibiza and some of the world's best parties, building up invaluable experience in the everyday workings of the nightlife scene. 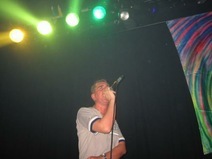 He then relocated to the Netherlands, where he managed Club Exposure (The Hague), which was one of the Netherlands first house party locations. He later went on to become artistic director in The Hague's first mega-club called Asta. The Asta held every Saturday night an exclusive club party called Astatic, which was broadcasted live on radio, Paul T hosted the evening which triggered the start of a fulfilling MC and Deejay career which spanned the globe to places as far away as the United States. After the Asta project he was invited by Dj Jean to join him to host the Madhouse club night in the legendary Amsterdam's club It. 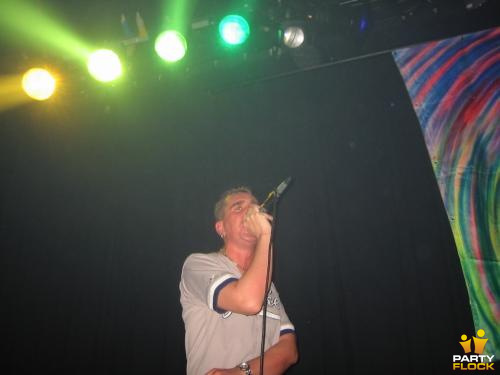 This put Paul T on the map as a MC and lead to numerous residencies, including the O (Eau, The Hague), HQ (Amsterdam), Boat Barocca & Club Revolution (Rotterdam) and frequent appearances at almost every major festival and rave event in the Lowlands, including Decibel Outdoor, Impulz Festival and the famous Dance Valley Festival, where he introduced and MC-ed with the worlds biggest deejays and house orientated acts (such as Tiësto, Carl Cox, Paul van Dijk, Todd Terry, Chicane, Underworld and many others). Most recently Paul T was personally requested by Armin van Buuren to host his largest to date solo project, a 10 hour spectacular event held in one of the biggest venues of The Netherlands, The Ahoy in Rotterdam. Over the last few years Paul T has restyled himself besides performing as a MC to a respectable deejay. 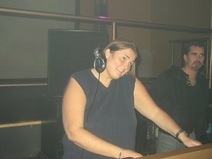 His style and sets are extremely eclectic incorporating deep, latin, club, disco, techno, progressive and electro house. When asked how he selects his musical choice's he explains: "I only play tracks that have got soul or contain a certain bounce factor regardless of speed or style. In a short period of time he has earned residencies in various clubs and parties all over The Netherlands, including the re-opend Asta (The Hague), Club Revolution (Rotterdam), Cocoon (The Hague) Mellow Moods (The Hague) and Sundae at Escape in the Escape Venue Amsterdam, an event organized by his good friend Mark van Dale. Paul's latest challenge sees him turn to the production side of house music in coorporation with the extremely talented, up and coming producers Devoice (Dave Brinkert and Eelco Wijninga). Their first production Can I get some (released under the name of Paul T himself) has extremely high expectations getting a lot of radio airplay, even before it's official release date. 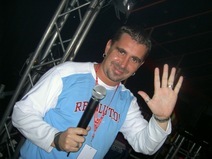 Hey mister paul, jeroen hier van Revolution...vanavond sta ik in Asta Sexation White...going your footsteps ...seeya! !